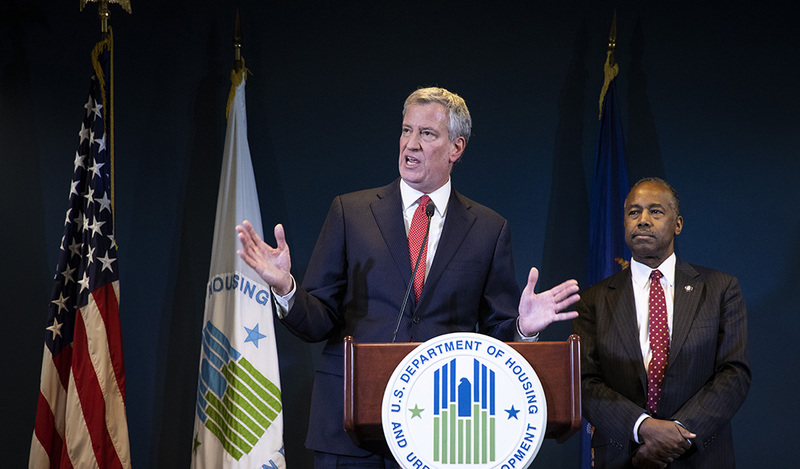 New York City Housing Authority ’s announcement that it would start to sell vacant land within the boundaries of its housing projects appears to signal the start of a new era in the city. It is, after all, an unprecedented step: historically, the Authority has been in the business of taking land â€” not selling it, and certainly not to private buyers, as planned. But it’s not clear whether or not the sale of parking and vacant lots in Chelsea and East New York in order to raise $50 million is anything more than a stop-gap to allow the creaky NYCHA machine to keep going for a while. Instead, it should be the start of a wholesale re-examination of the financially troubled public housing system. For those who complain that New York lacks “affordable housing,” it’s important to understand that the city has more subsidized housing of all kinds â€” especially public housing owned by NYCHA â€” than any other city in the country, both in total numbers and per capita. New York’s 178,000 public housing units far outstrips that of runner-ups San Juan, which has 57,000 units, or Chicago which once had nearly 40,000 units but, after demolishing many of its most infamous high-rises, plans on retaining just 25,000. NYCHA is a city-within-a-city in Gotham: there are more than 400,000 people who live in NYCHA-owned properties. This number is greater than the population of any city in the rest of the state â€” Buffalo’s population is less than 300,000. Yet NYCHA’s real estate has been essentially frozen. As the city’s economy changes and neighborhoods change with it, public housing stands apart. The Ingersoll Houses in Brooklyn, for instance, were built for the shipyard workers of the Brooklyn Navy Yard â€” itself long gone and replaced by an industrial park with dozens of innovative small businesses. That’s not all that’s changed. Originally, public housing was meant to be financially self-supporting. Government would finance construction â€” but working families would pay rents sufficient to maintain the buildings. It was thought that many would move up and out, as well. Today, more than 40% of NYCHA households have been in their apartments for more than 10 years and fewer than half of NYCHA household heads are employed, according to the U.S. Department of Housing and Urban Development’s data. The rent rolls aren’t nearly sufficient to cover the cost of maintaining aging structures. The result is a financial crisis â€” a $225 million budget shortfall appears to have motivated the first-ever land sell-off. The benefits of 6,000 new apartments to be built on the land should not be minimized. But the larger problem of the “frozen city” is far more important in the long term. The total real estate footprint of New York’s public housing projects is equivalent to the size of some 156 World Trade Center sites. The city can ill afford to declare so many sites in so many neighborhoods to be off limits to change. Cities thrive, in part, by allowing their real estate to be put to its highest and best use. In doing so, jobs and wealth are created â€” for all social classes, not just the rich. Setting aside land for those who earn low incomes is a deeply pessimistic policy â€” one that assumes there will always be a need for thousands of units of such housing. Not only does such a system tie up a great deal of land with none of it on the property tax rolls, but also it requires a sprawling administrative and operational structure to keep it going, funded by a tax base depressed by the extent of public housing. Worse, it encourages continued poverty â€” by providing low-priced housing to the single-parent, female-headed families who dominate it â€” more than 70%, nationally. It makes sense for the city to exit the public housing business in a gradual, humane manner. Selling off land could be a first step in that process. But it would be far better to start selling off whole buildings. The proceeds of the sales of buildings in hot real estate markets would do far more to help fund the existing system. How to do it? As units become vacant, tenants from other buildings can move in. It is not unreasonable to pressure tenants, perhaps by raising the rent, to exit the system. This is the sort of turnover that happens in all neighborhoods; aging residents, faced with a decision as to whether it’s worth paying taxes on a big house, for instance, choose to make a move. NYCHA reports that more than 39,000 of its apartment units are what it calls “underoccupied units,” where the family size is less than the number of bedrooms. This newspaper’s suggestion of allowing public housing tenants to be given property rights to their apartments, which could then be sold, can help provide the incentive for movers. The big picture is this: The public housing financial crisis is chronic, not passing. It is best solved not through a minor change akin to Lenin’s New Economic Policy, his brief flirtation with capitalism before a return to socialism. Instead, there must be a consolidation of the system in order to allow a gradual sell-off of property. Doing so will help spark real estate revitalization from Brooklyn to East Harlem to the South Bronx â€” and ultimately benefit all New Yorkers.